Manfred Gerstenfeld: History of Progressives and Perversity Needed…….. – The Tundra Tabloids……. 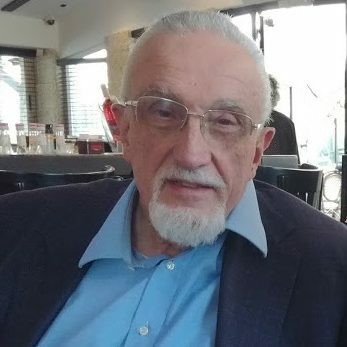 Manfred Gerstenfeld: History of Progressives and Perversity Needed……..
Dr.Gerstenfeld’s article was first published in the Begin-Sadat Center for Strategic Studies (BESA), and republished here with the author’s consent. Progressive perversity has a long and extensive history. There is a need for analysis and description of this phenomenon over many centuries. A valid starting point for a competent and ambitious historian’s research might be the antisemitism of Erasmus of Rotterdam, often called the ‘Prince of Humanism’. He lived at the end of the fifteenth and beginning of the sixteenth century. In the history of Christianity, the Reformation can be considered a progressive upheaval even if its aim was to return to the religion’s sources. The major reformer and antisemite, Martin Luther, fits the description of a perverse progressive well. Luther recommended the burning of synagogues in honor of God and Christianity. He advised that Jewish books be confiscated and Jews be expelled from Christian countries. 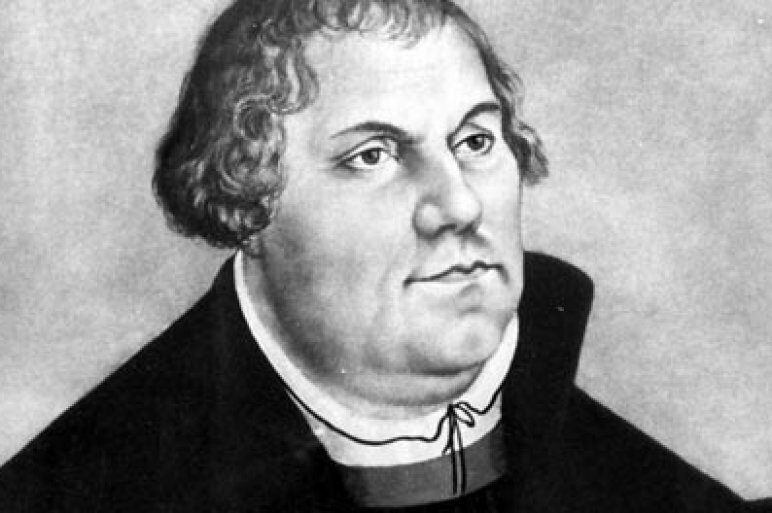 Luther also stated that no people were as thirsty for money as Jews. He believed that if a Christian met a Jew he should make the sign of a cross because a ‘live devil’ was standing before him. 2 This went far beyond the mainstream antisemitism of his time. It would however be a mistake to associate progressive incitement exclusively with antisemitism. Yet antisemitism is often an indication of huge misdeeds by individuals and societies. The French Revolution which began in 1789 is one of the major milestones of progressive perversity. Initially the French King and Queen and adherents of the old regime were executed. Subsequently progressives started to send other progressives to the guillotine. For some time this became a daily event. The French Revolution brought long term societal renewal accompanied with murder. Yet all this pales in comparison with another huge milestone of progressive perversity, the Communist Revolution in Russia. Not only were the Tsar, Tsarina and adherents of the old regime executed. In later years under Stalin many communist leaders were condemned to death. These included Lev Borisovich Kamenev (born Leo Rosenfeld) and Grigory Yevseyevich Zinoviev (born Hirsch Apfelbaum) in the show “trial of the Sixteen” in 1936. Both had been members of the first politburo. That trial started what became known as the “Great Terror.” Trotsky would be assassinated by a Soviet agent in 1940. There were some progressive elements in Nazism. The French philosopher, Luc Ferry, wrote that Nazi laws to protect nature and prohibit hunting were the first in the world “to reconcile a sizable ecological project with the desire for a real political intervention.”6 The Nazis were indeed precursors of current animal protection movements which are usually considered progressive. The historian of progressive perversity could devote many pages to contemporary progressives. In our time, progress is partly linked to left-wing politics. Left-wing antisemitism is a major force directed against the State of Israel. We find it among many Greens, Socialists and Communists. Three since deceased socialist European leaders compared Israel’s acts to those of the Nazis: Swedish Prime Minister Olof Palme,7 Greek Prime Minister Andreas Papandreou 8 and French President François Mitterrand. The tenacious antisemitism in the British Labour party to a large extent derives from supporters of its extreme leftist leader, Jeremy Corbyn. For the scholar of progressive perversity who writes his magnum opus, in order to analyze the contemporary world antisemitism is a good guideline. Academia is a logical place to start identifying perverse progressives. Also outside academia, the BDS movement has its main supporters on the left. Other areas to look into are human rights and other NGOs, trade unions, liberal churches and so on. As the issuer of the Universal Declaration of Human Rights, the U.N. might be considered progressive, even if it is mainly a collection of non-democratic states voting for heavily biased resolutions against Israel. The challenges for the scholar who writes this history are great. They require much knowledge and clarity of view that spans many centuries. His books on the topic, even if brilliant may be attacked by some progressive colleagues who cannot stand the truth. The potential is, however, also major. A scholar who succeeds in this huge task becomes a star historian. The more so as he lays the foundation for the analysis of the attitudes of many more perverse progressives to come. 5 Zygmunt Bauman, Modernity and the Holocaust (Ithaca: Cornell University Press, 1989). 6 Luc Ferry, Le nouvel ordre ´ecologique. Paris: Grasset, 1992, p.54. 7 Per Ahlmark, “Palme’s Legacy 15 Years On,” Project Syndicate, February 2001. 8 Moses Altsech (Daniel Perdurant, pseud. ), “Anti-Semitism in Contemporary Greek Society,” Analysis of Current Trends in Anti-Semitism, 7 (Jerusalem: Hebrew University, 1995), 10. 10 Gerald M. Steinberg, Anne Herzberg (ed.) The Goldstone Report “Reconsidered”: A Critical Analysis,, (Jerusalem: NGO Monitor, the Jerusalem Center for Public Affairs, 2011). Previous Post Previous Post Finland: Helsingin Sanomat politicizes horrific mass murder of Mosque goers in New Zealand in push to delegitimize critics of Islamic ideology……..